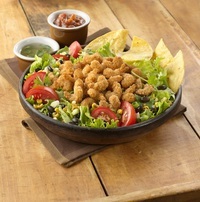 MRS. FRIDAY’S® HOMESTYLE BREADED DEEP CUT SHRIMP 16/20 CT. 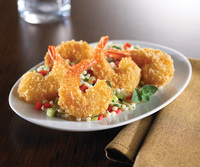 Premium, tail-on shrimp are hand coated in a savory Asian breading, with a firm bite and unique, stands-up-on-the-plate appearance. Do Not Thaw * Do Not Overcook. Fry in clean oil at 350°F/177°C for about 3 to 3 ½ minutes or until golden brown. 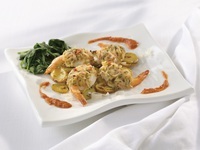 MRS. FRIDAY’S® GOLD PACK® ROUND SHRIMP 16/20 CT.